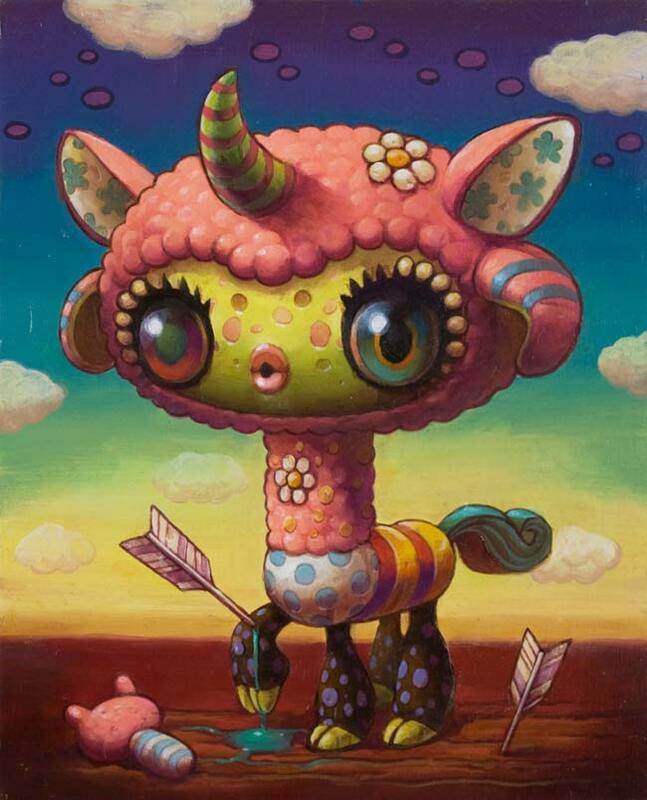 Yoko d’Holbachie’s rainbow-flavored pallete graced the cover of Hi-Fructose vol.6 and her latest exhibition is set to open atLondon Miles Gallery.“Living in Your Dreams” opens on the 18th of November and features Yoko’s largest body of solo work to exhibited. 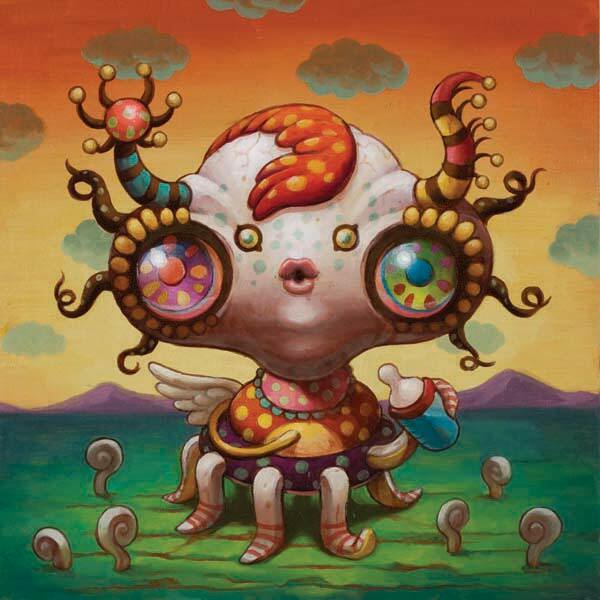 Psychedelic maggot like creatures push the limits of adorable on an ever devolving planet, where it’s all marshmellow, no bran, all the time! Take a look at a sneak peek of the show!